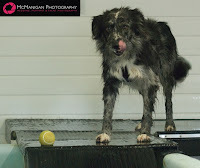 Blog updates from Lucy Osbornes dog training. Seminars, courses and articles. I have been thinking about writing a blog for a while. It has been one of those things, I’ll do it later..Next week! Finally it’s here. Started, scheduled in and its going to carry on! Instead of starting off my blog on what you all would be expecting read about. – (Agility training techniques) I’m taking a step back. I want to share with you exactly what my dogs and I do away from the ‘agility training’, for preparation. I am focusing a series of blogs on training. physical and mental preparation and conditioning, for both human and canine. What both my dogs and I do to make sure we can keep on our top form. You will find many of the top agility handlers have good mental and physical preparation. That for us starts away from the agility scene and focuses on getting fit and maintaining the form. The very foundations of our training, before Agility. Hydrotherapy can dramatically help with the rehabilitation, it has special effects on the body’s tissue therefore increasing the chance of a successful return to their full fitness. There are specific aqua and hydrotherapy techniques that can be incorporated. This is to help improve speed, agility and endurance as well as improve proprioception. The hydro therapist should be looking for controlled, good quality movement rather then just flat out speed swimming. 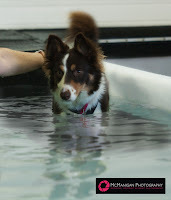 When the dog is swimming most of the muscles normally used in movement are being worked without the stress that is caused by motion on hard ground. Each step creates a shock wave which the travels up the limb, which is then absorbed by the bones, joints and tendons. Our dogs need these stresses to retain healthy and strong bone. Although, if the stresses are too repetitive the limbs can be damaged and weaken. However hydrotherapy allows a more increased resistance to movement, without the pressure of exercising on hard ground. This means that the muscles have to work harder then they would do out of the pool. Increasing the range of movement within the joints. Helps increase the healing of tissue and the speed of recovery. Cardiovascular workout, Great for the heart and lungs. Why is swimming in a pool better then the river? 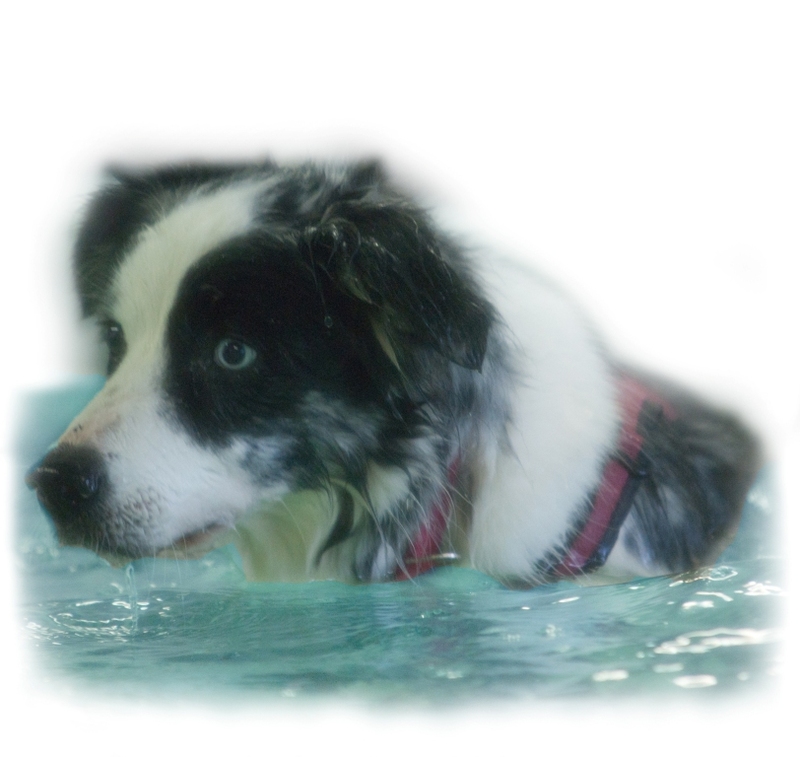 Swimming your dogs at a hydrotherapy pool is better as the warm water increases the circulation of blood to the muscles, which increases the supply of oxygen to the muscles and flushes away the waste products. This makes the muscles relax and will help to reduce pain and stiffness. For a dog carrying an injury or swelling, the improved circulation will reduce swelling around the injured area, therefore enhances healing after injury. 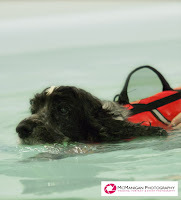 Hydrotherapy should follow a programme that is individually tailored dog. looking for quality movement, not just speed. A dog will not think about movement when chasing a ball, in a river. Although it still is a good form of exercise. Why do I take my dogs to Hydrotherapy? 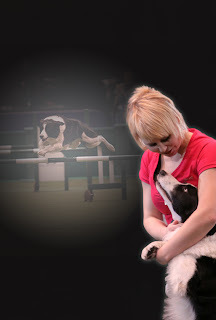 My dogs work hard to negotiate all of the obstacles within an agility course, as well as the training. Their muscles, bones and tendons are pushed to their maximum to jump weave, get the turns and the stop on the contacts. I feel with their regular walks and training the dogs bones take a lot of impact, which is why I like to take them. The fact that they ‘work out’ and build muscle without putting pressure on their joints is the main reason I swim my dogs, to maintain the muscle, strengthen them and keep the good movement in the joints. It’s also a little treat for them too, as they love it! I make sure that I train my dogs for no more then an hour and half each week, as I feel repetitive training can lead to unnecessary impact on the joints, muscles and tendons. I want my dogs to last as long as possible! My dogs are PETS before they are agility dogs. 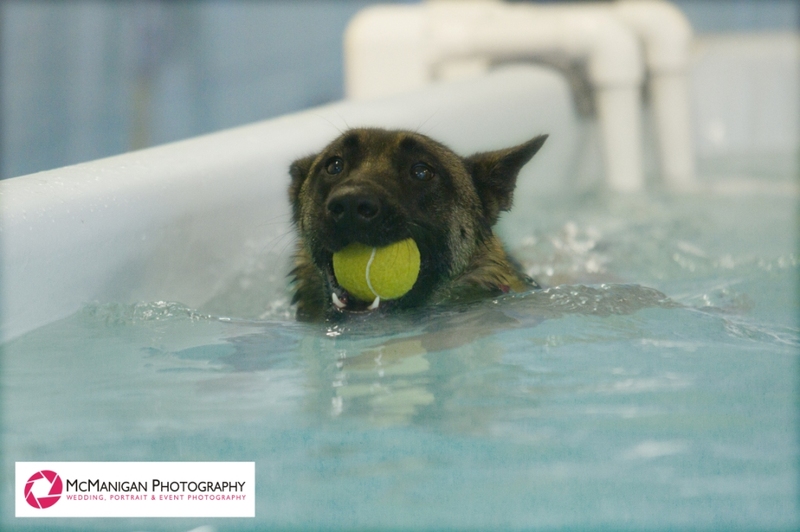 I would like to say a massive thank-you to Ann & Rod Norton at Dog Wise Hydrotherapy for swimming my dogs, you are fantastic with them and they LOVE coming to swim with you. The dogs pictured above are not my dogs. Unfortunately my camera lenses steams over so I was unable to produce and quality photos. 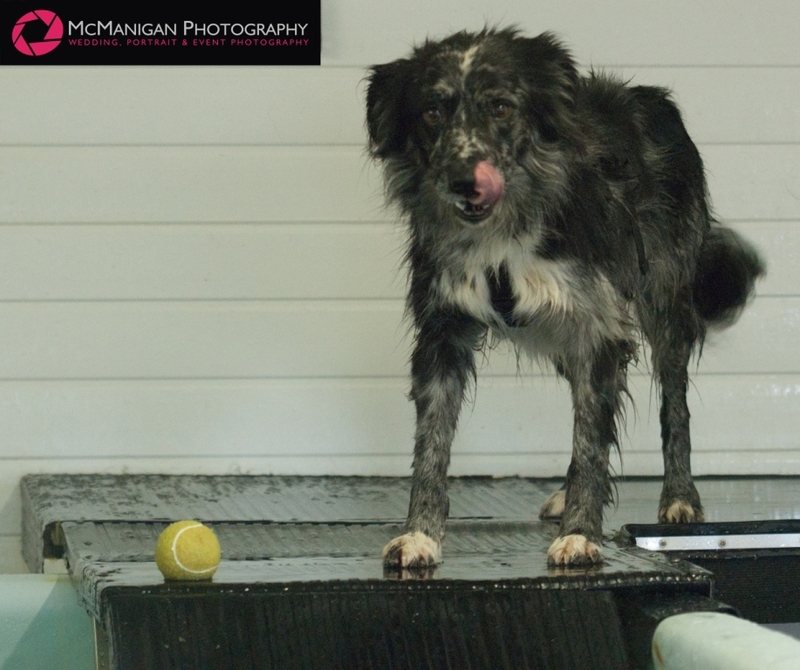 So, another big thanks to Katie McManigan for letting me share there fantastic photographs. Agility Buds Dog Training. Picture Window theme. Theme images by enjoynz. Powered by Blogger.